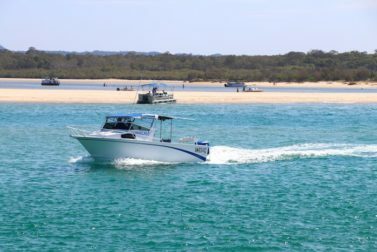 If you are looking for things to do in Noosa or want to know why you should visit, then you are in the right place. 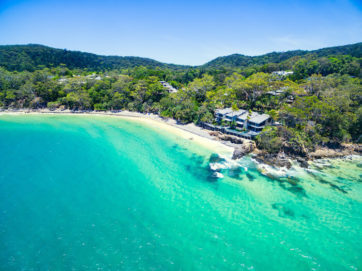 The first thing that springs to mind when I think about Noosa is the green emerald sea and the impressive array of fancy restaurants on prettily lit Hastings Street. 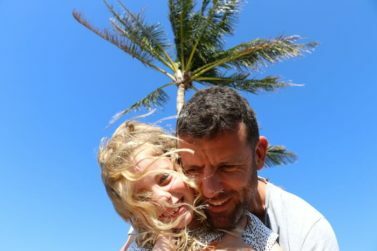 Noosa presents many of the beautiful Aussie holiday traits that I love so much about this country, and it throws in a good dose of indulgence too. If you relish in a spot of shopping and café hopping then you’re heading to the right destination. 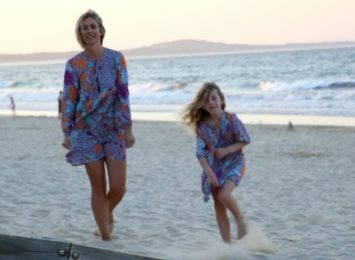 As one of the few women in the world to not be overly interested in shopping – I must admit, I do enjoy a browse in Noosa’s boutiques. 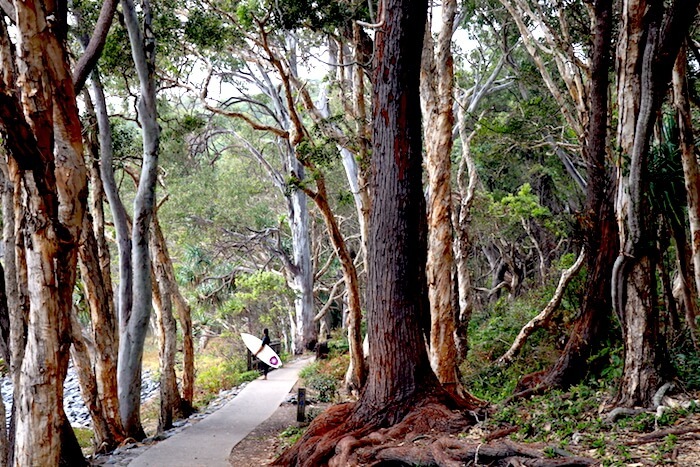 But Noosa isn’t just about spending money. It is a stunning example of nature at its finest. In fact, ‘finest’ seems to be the best word that I could use to describe this fancy little coastal town. 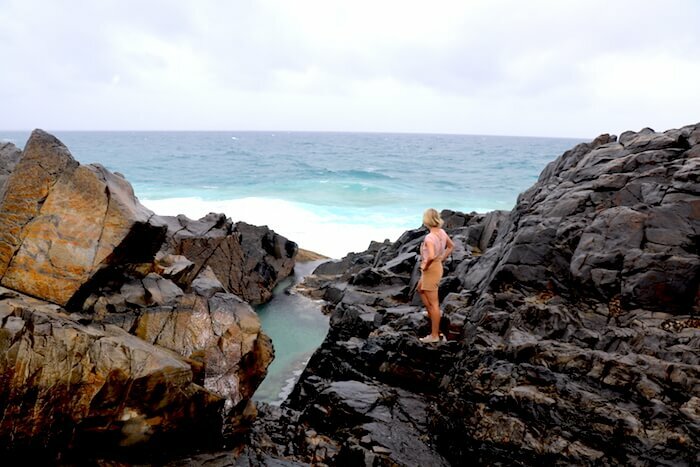 Recently we had the opportunity to re-visit Noosa. 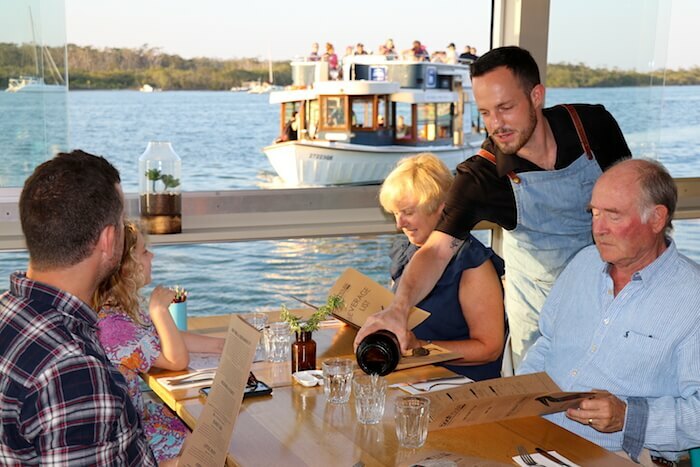 My parents were visiting Australia from the UK, and just like me they are big foodies, and Noosa is always a great option for a foodie. 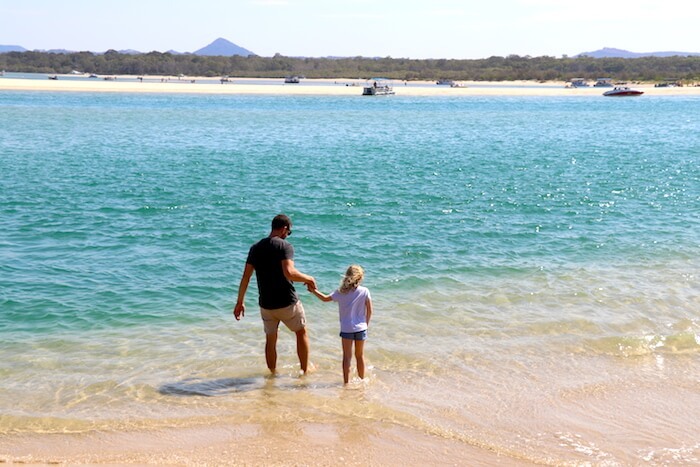 So we decided to take a 5 day mini break and indulge in some of Noosa’s delights. 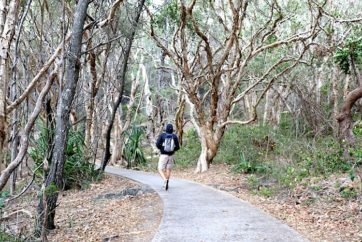 To get a real sense of Noosa’s treasures, you simply have to get out and explore what nature presents. It’s not a hard place to explore. 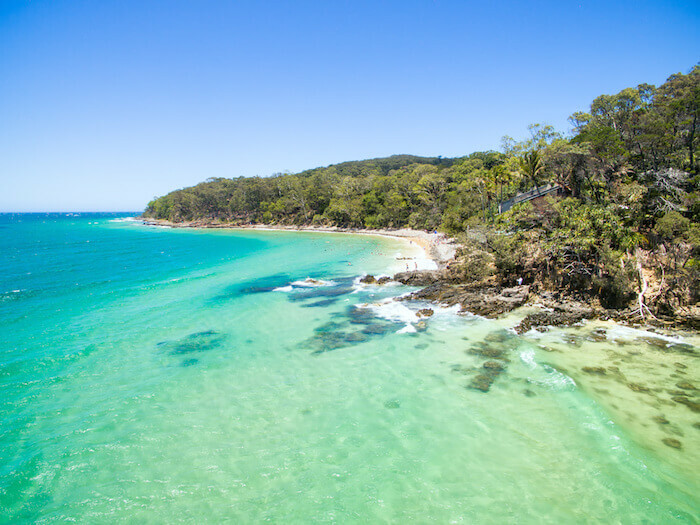 In fact the Noosa National Park is one of the most accessible and well-visited national parks in Australia. 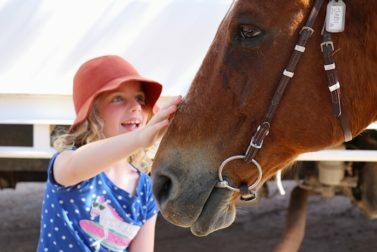 You can choose from a range of trails suitable for different abilities (including children). 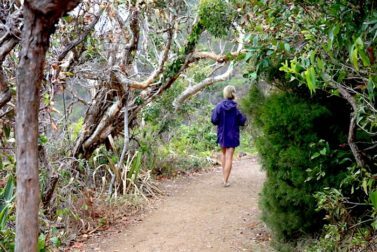 You may even be lucky enough to spot a cuddly little fella high up in the rainforest canopy as you walk along the picturesque coastal path. 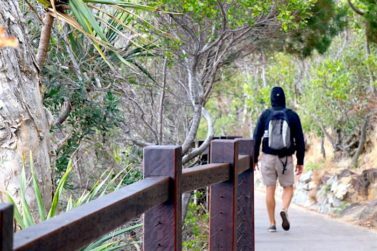 The winding trail starts as you leave town along the boardwalk with the surf club on your right hand side. 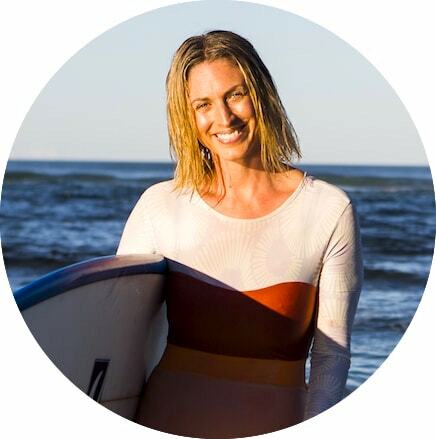 Follow the coastline and take in the numerous surf breaks and tranquil beaches dotted with surfers and dolphins. Keep your eyes open for the Instagram worthy fairy pools, but make sure you follow the signs and stick to the trails! The river comes alive during the weekends and holiday periods. 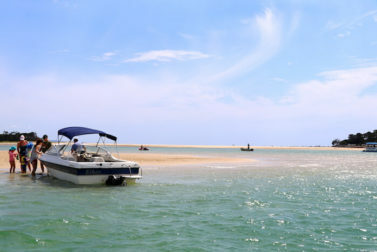 There is so much to do, from jet skiing and kayaking, to swimming and fishing. And whilst it can get busy, the activities are spread out enough to mean that it’s totally bearable and you can still find a stunning spot to relax in. 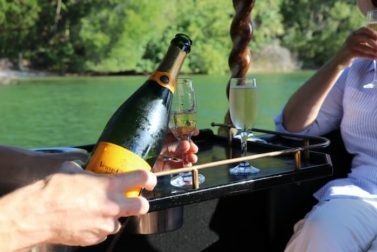 We hired a boat with Boardwalk Boat Hire (located just off Hastings Street at the Sofitel Jetty). 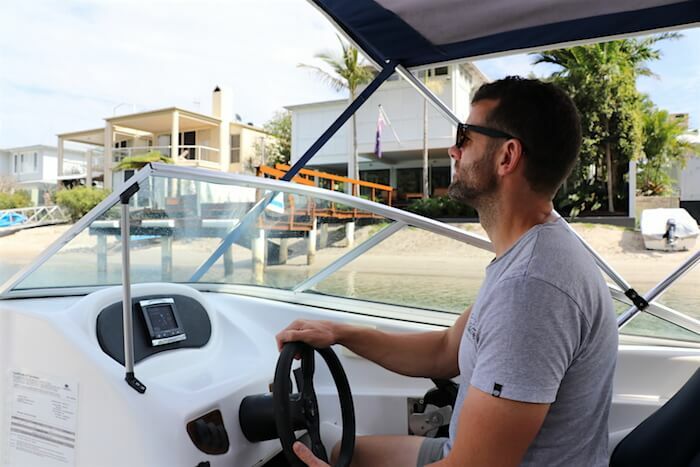 Lachlan from Boardwalk was fantastic and explained where all the best spots were for fishing, swimming or just cruising along and taking it all in. 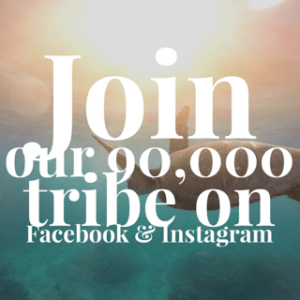 We opted for the additional fishing gear and managed to catch ourselves a huge…tiddler (it was tiny), but we never do have much luck with fishing in our family! 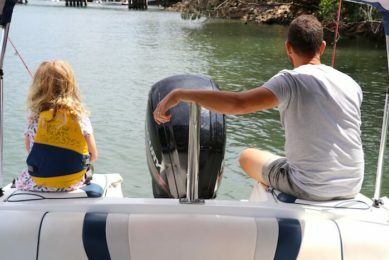 Hiring a boat gives you the opportunity to experience so much that the river has to offer. Plus, it’s super fun. 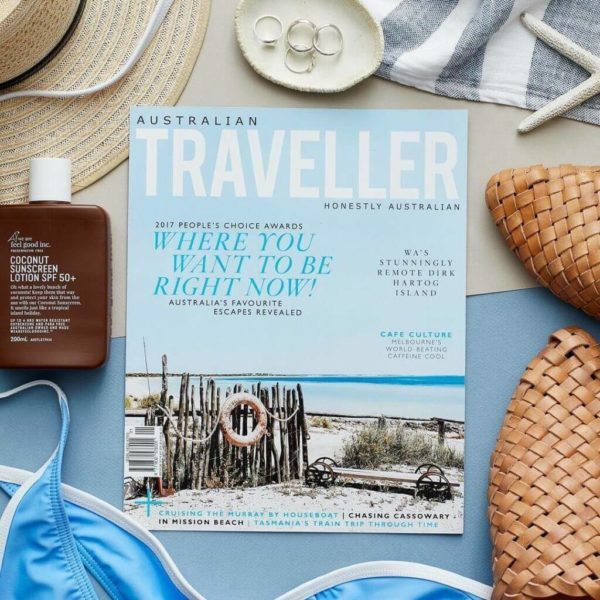 A definite must for your Noosa bucket list. 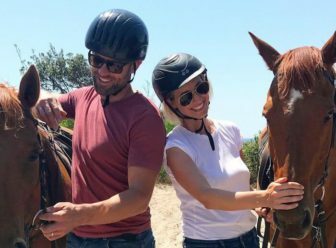 Now horse-riding has never really been a hobby of mine. My preference was always sailing or anything water related. 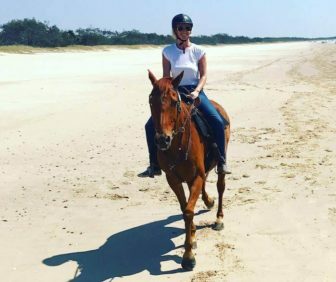 But I have to say, when I saw the photos of people horse-riding at sunrise along the glorious open stretches of Teewah Beach, I just couldn’t resist giving it a go. I’m so glad we did. 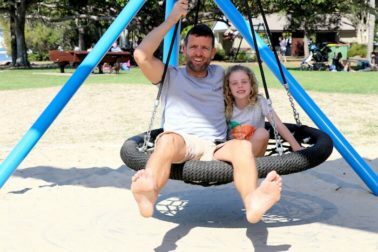 We are always telling our daughter to try new things, and I think we adults should sometimes listen to our own advice! 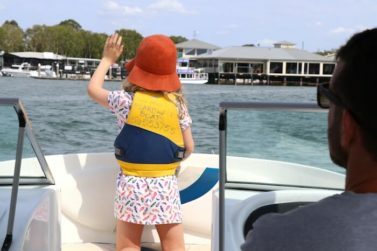 We drove to the small ferry that takes you across to Noosa’s untouched North Shore. 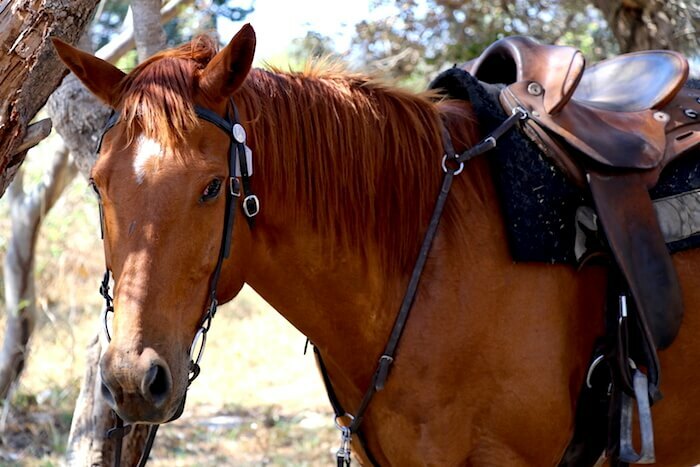 There we were met by the lovely girls from Equathon Horse Riding, and my beautifully well-behaved horse for the morning, Rosco. We made our way down to the beach and then Hannah our guide took us on an hour’s trek along the sandy beaches and into the glistening ocean. Pure bliss! I don’t think I stopped smiling. 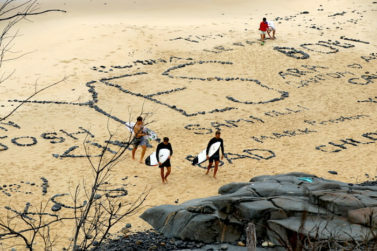 What Aussie holiday is complete without a surf, or at least an attempt at surfing? 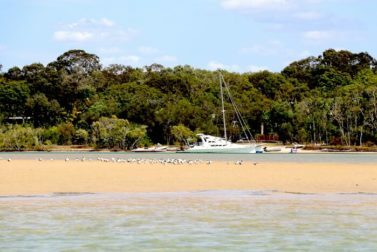 The great thing about Noosa’s coastline is that you can usually find a break to suit your level of experience. If you’re a beginner then we’d recommend sticking to the patrolled beaches at all times. 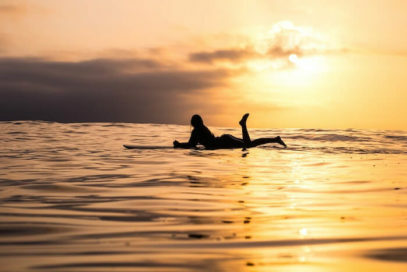 There are several obvious surf hire shops to choose from – so take your pick and get out in those crystal clear emerald waves. 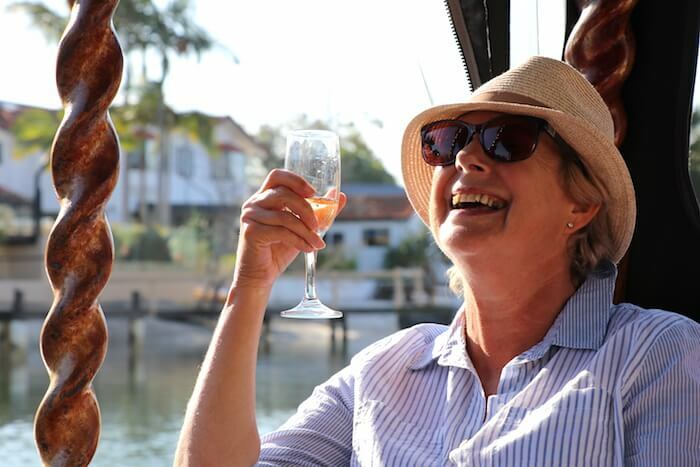 What better way to end the day than cruising the Noosa River with a glass of champagne? And that’s exactly what we did. 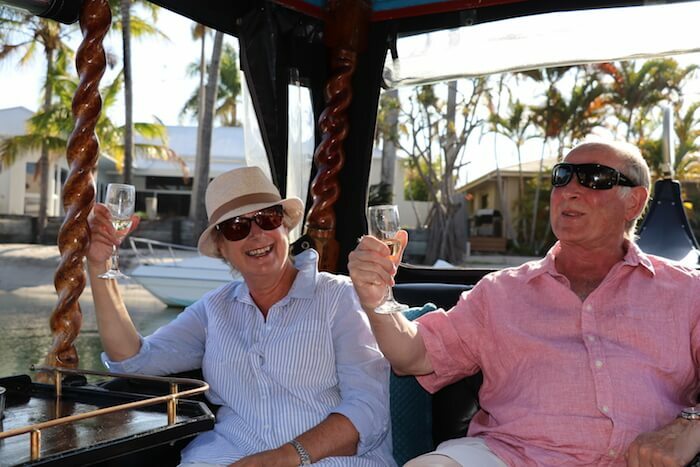 We booked ourselves a sunset cruise with Gondolas of Noosa and cracked open our favourite bottle of bubbles. This stylish little boat, with leather-lined seats, and all the trimmings was the perfect end to a perfect day. 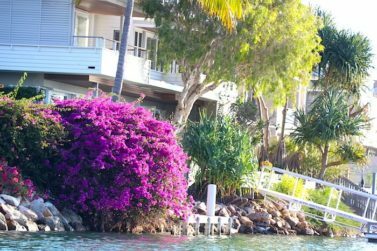 I’ve cruised the Noosa river many times and I never tire of being nosey and checking out all of the luxurious homes. You can but dream! The Noosa Boathouse is perched quite literally on the river, (pictured below) and has to be one of my favourite finds in Noosa to date. A place I have no doubt we will return to. 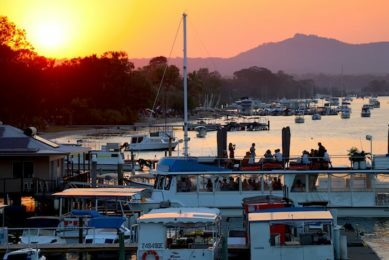 Arguably the best place to watch the sunset in Noosa. A relaxed, down to earth, yet refined atmosphere. Welcoming and informed staff. Great for families, couples, friends etc. 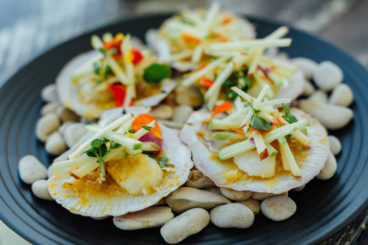 And the scallops with sweet and sour apples and sea urchin butter were to die for. This is an overall winner for me, particularly as a family. 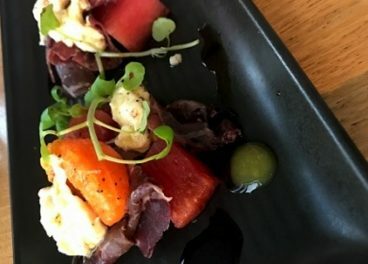 Other great places to try: Bistro C (on the beach) for a breakfast with a view to kickstart your day, Locale (Italian) for its unique ambience and wine menu, and Rickys for its degustation menu and local produce. 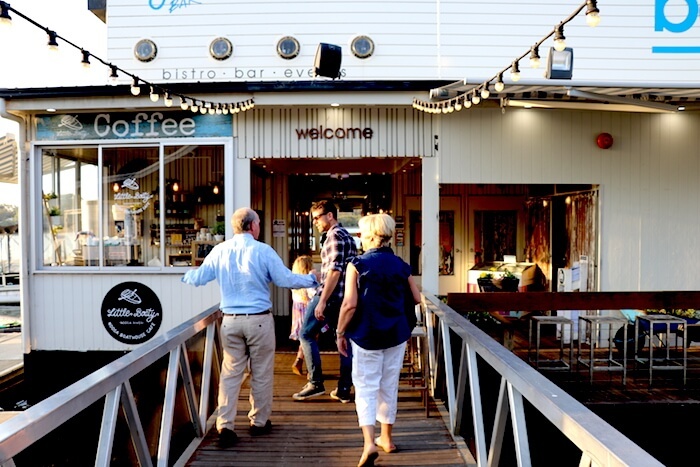 All images below were taken on our trip to Noosa Boathouse. 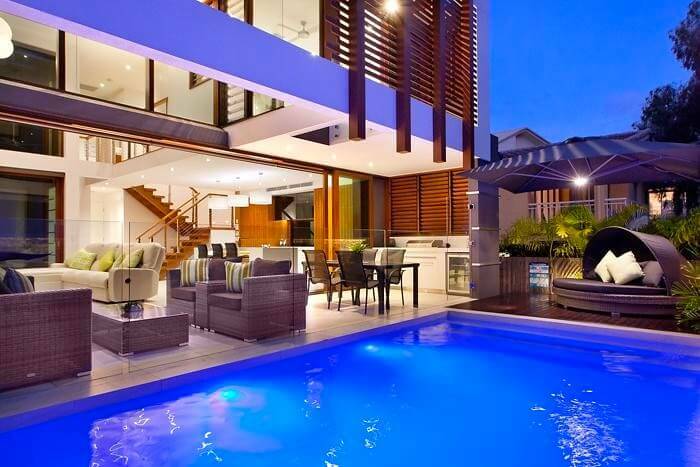 There is a huge range of accommodation in Noosa. 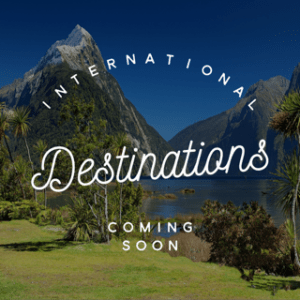 From luxury 5 star resorts and apartments, to camping by the bustling river. You can even stay on a boat in the marina (as one of our friends did – and of course we joined them for the evening and pretended it was our own). 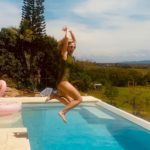 We were planning our trip with our broader family so we decided upon a luxury (when in Rome) holiday home rental that we booked through Laguna Holiday Rentals. This was perfect for us, as we could eat out or in depending on how we felt. 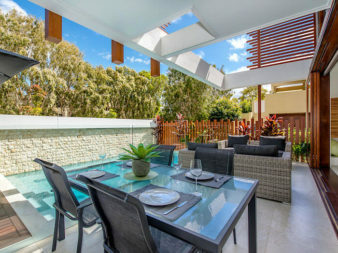 We also had a stunning courtyard, pool and outdoor kitchen area to enjoy in private. I personally love staying in holiday homes as you have more space and can make the holiday whatever you want it to be. 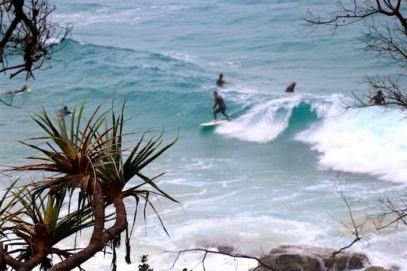 Noosa is easy to get to, sitting just 160km north of Queensland’s capital city Brisbane. 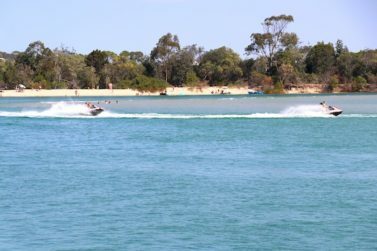 By car it’s just a 1.5-hour drive north of Brisbane, or 3 hrs from the Gold Coast. 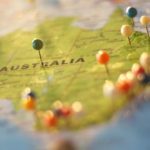 If you live further afield then you can either fly to Brisbane, or even better, the Sunshine Coast Airport, just 30 minutes south of Noosa (in Maroochydoore). Try a bit of everything. 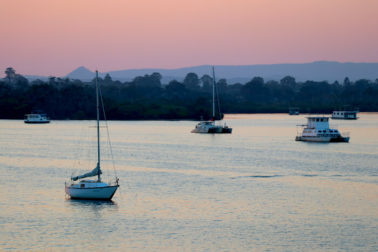 Noosa offers so much in such close proximity. 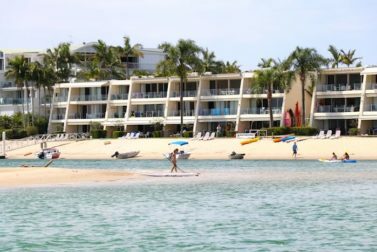 To come away with a real sense of Noosa, make sure you get a taste of everything, from the delicious food on offer to the activities on the river and the National Park that surrounds you. Have fun!